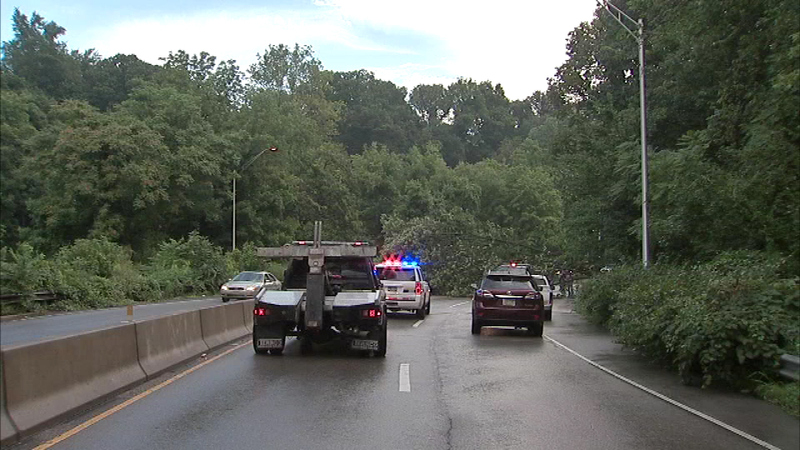 August 11, 2016: The tree came down in rainy conditions near Gypsy Lane before 8:30 a.m. in the northbound lanes. 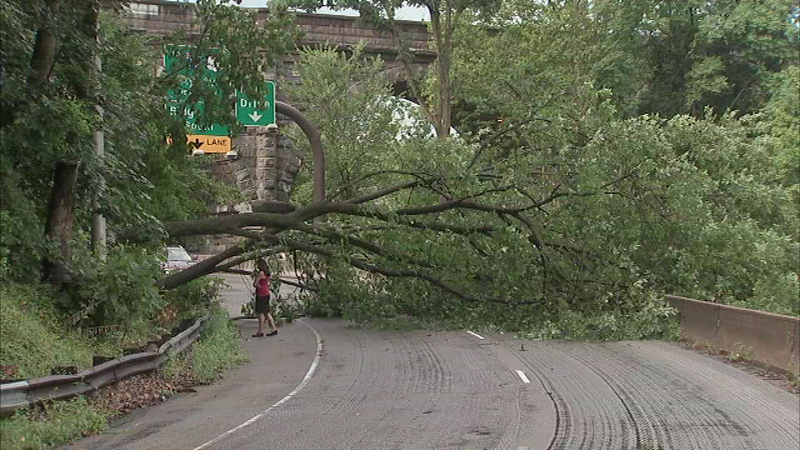 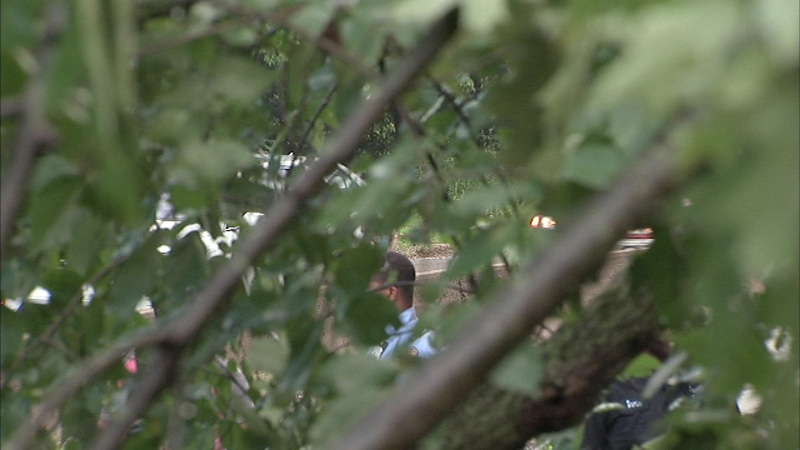 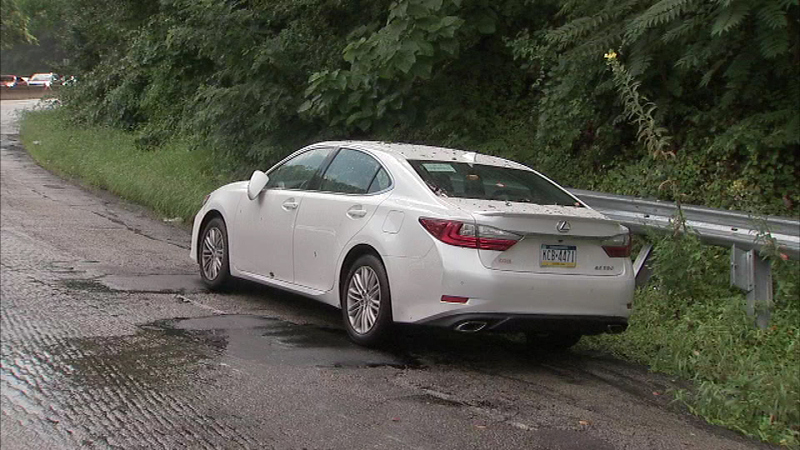 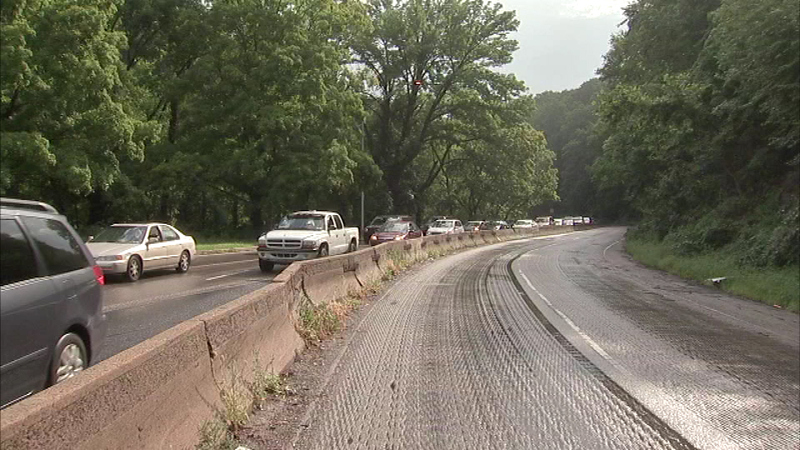 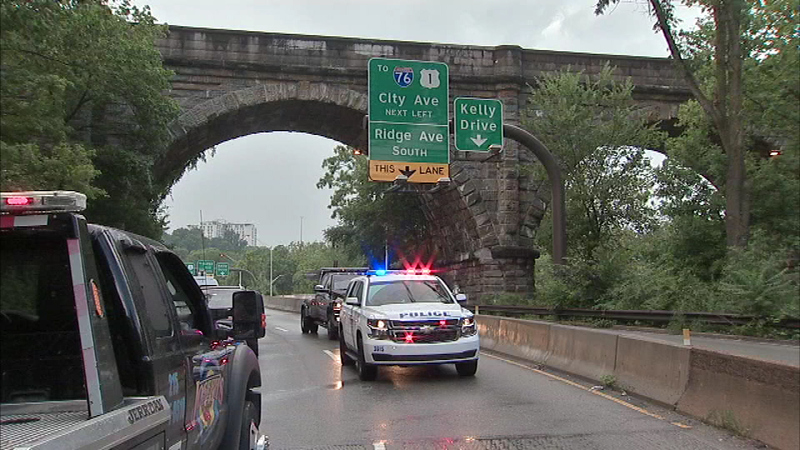 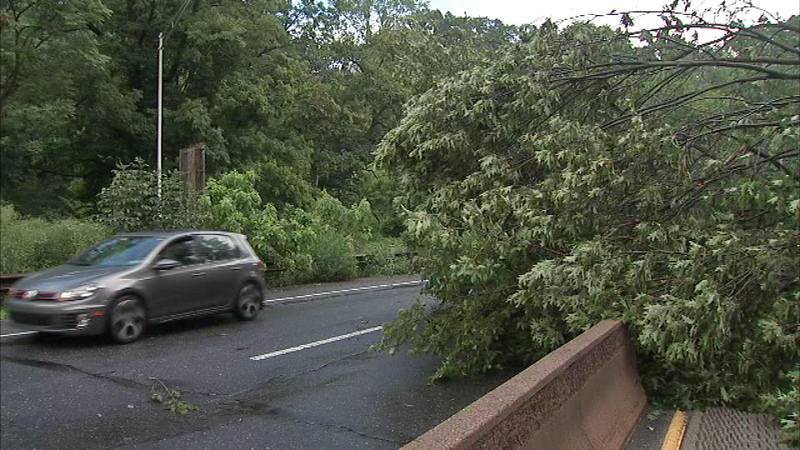 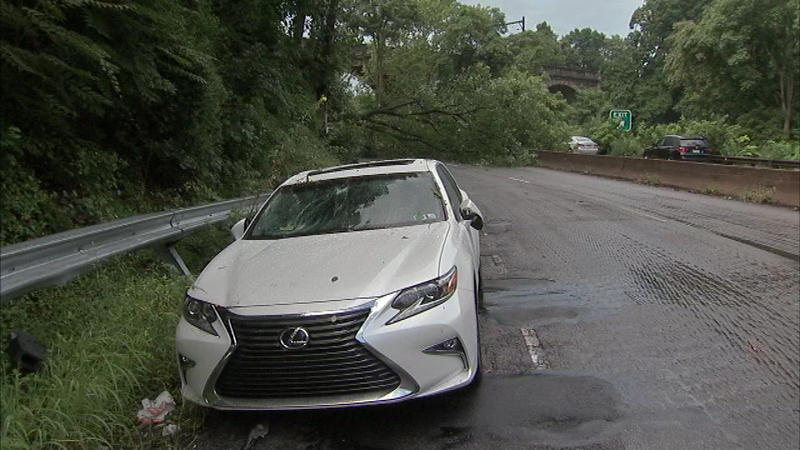 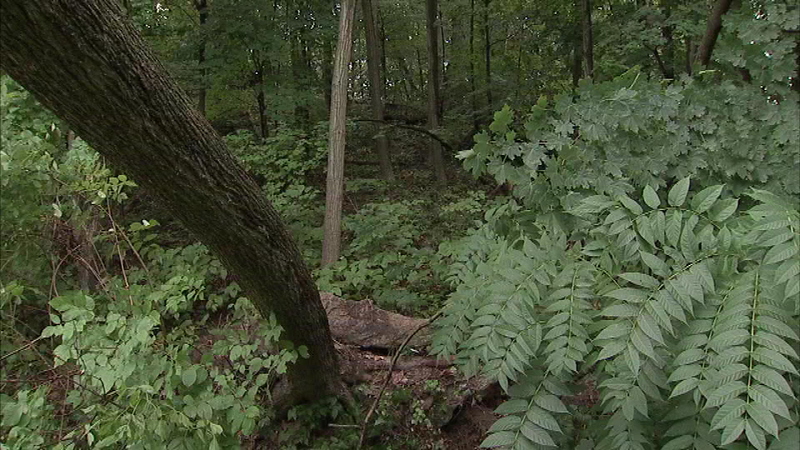 FAIRMOUNT PARK (WPVI) -- A fallen tree caused delays for commuters on Lincoln Drive in Philadelphia's Fairmount Park. 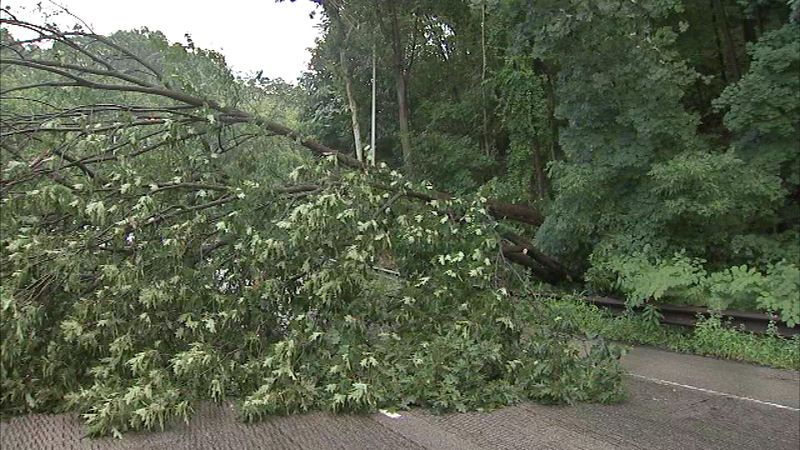 The tree came down in rainy conditions near Gypsy Lane before 8:30 a.m. Thursday. 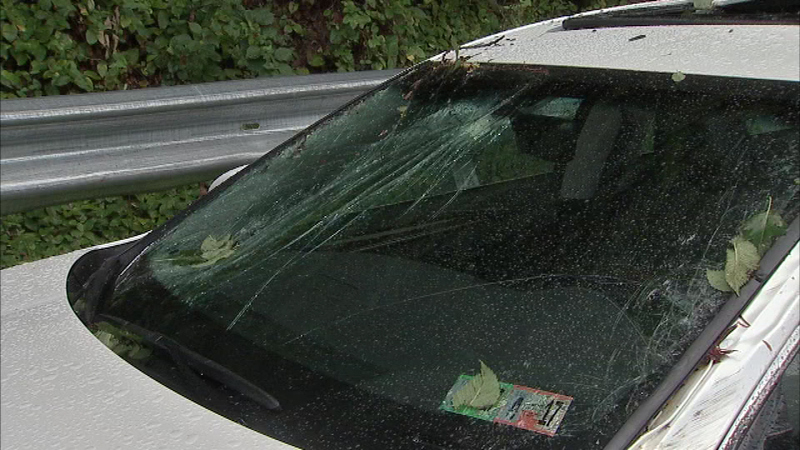 It fell across the northbound lanes and struck a passing Lexus sedan as it fell. 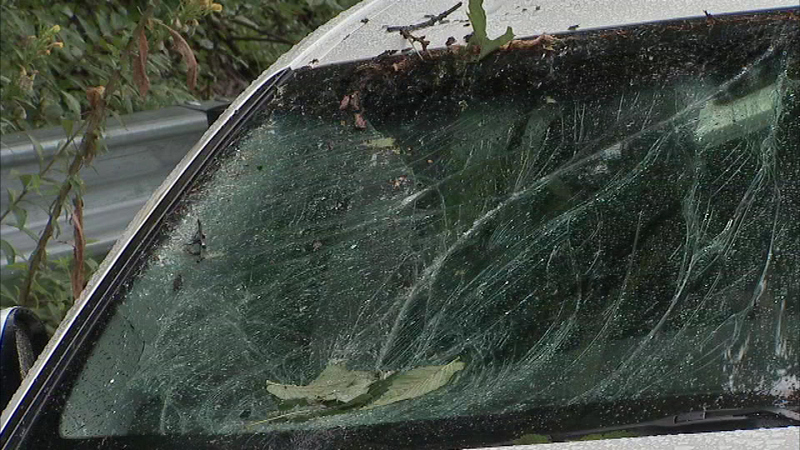 The driver was not injured, though the car's windshield and roof were damaged. 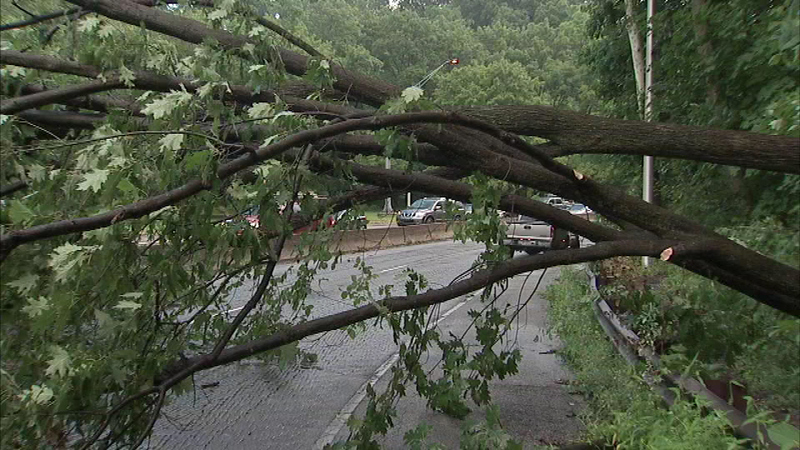 The tree blocked all northbound lanes and one southbound lane near Gypsy Lane for more than an hour. 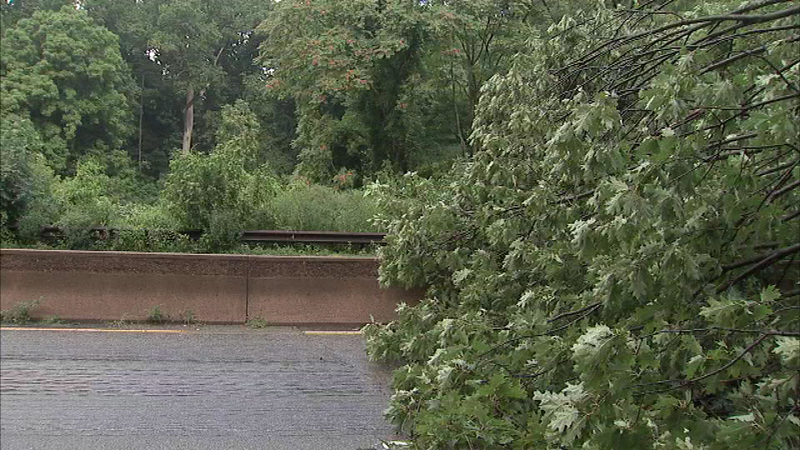 Some people have chosen to stay indoors to avoid the rain and the heat all together.